Oyehut is our first new Jerusalem artichoke introduction. 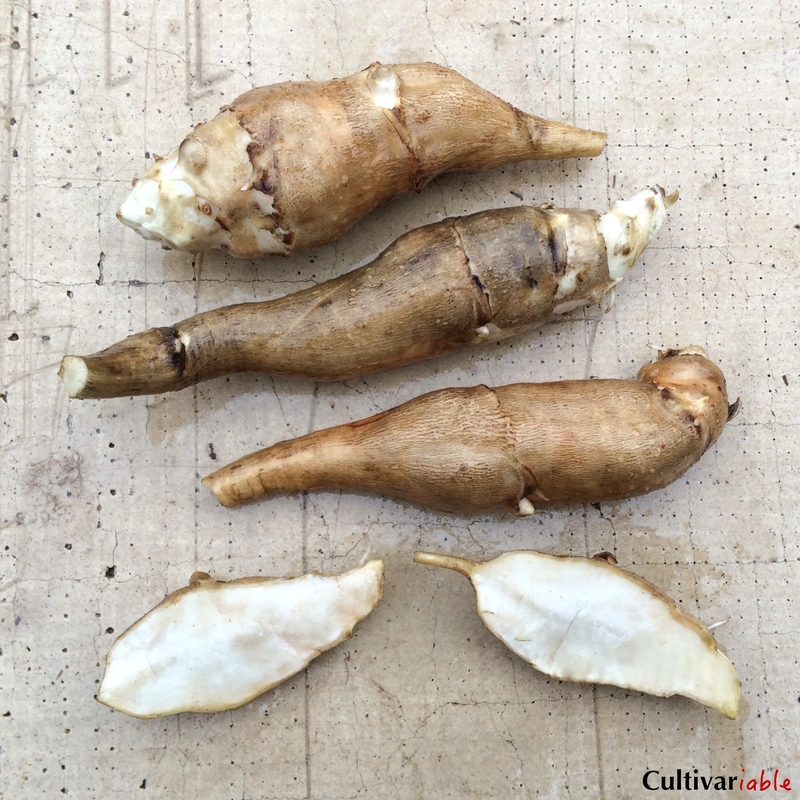 This cross between a wild and a domesticated variety preserves good qualities of both, including the longer, thinner shape of wild sunchokes and the greater bulk of domesticated varieties. No clumping and very few nodules. Tuber size is fairly uniform – mostly between 3 and 8 inches, with very few tiny ones. This variety tolerates wet soil very well, with no tuber rotting observed here even in mud. Fairly short plants reach about 7 feet here and probably taller elsewhere. Good yields even with early harvest in September. Mild flavor. Moderately spreading. Flowers late, just before it goes into senescence here. Three tubers or cut pieces of tubers if too large for packaging.